The LC - range of Lacey Carbon support films provide a wide range of hole sizes and offer a solution when a continuous carbon film is not desirable. Lacey Carbon support films are more robust than Holey Carbon support films and are ideal for specimens requiring more rigorous pre-treatments. 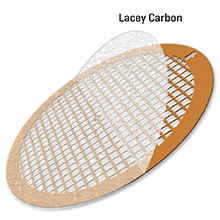 Lacey Carbon support films offer more open area than holey carbon films and resemble a random mesh. 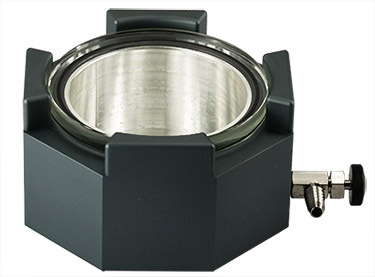 They are also ideal as support films for graphene and graphene oxide films. The EMR Lacey Carbon TEM support films are available on 200, 300 and 400 mesh copper, gold and nickel grids. See the matrix below for the currently available Lacey Carbon TEM support films with packaging sizes of 25, 50 and 100 support films packaged in a TEM grid box.